Summary: Kristy’s mom is getting married to her boyfriend, Watson Brewer, which means Kristy is facing many changes: a new stepfather, stepsister, and stepbrother, plus a move across town to Watson’s “mansion”. 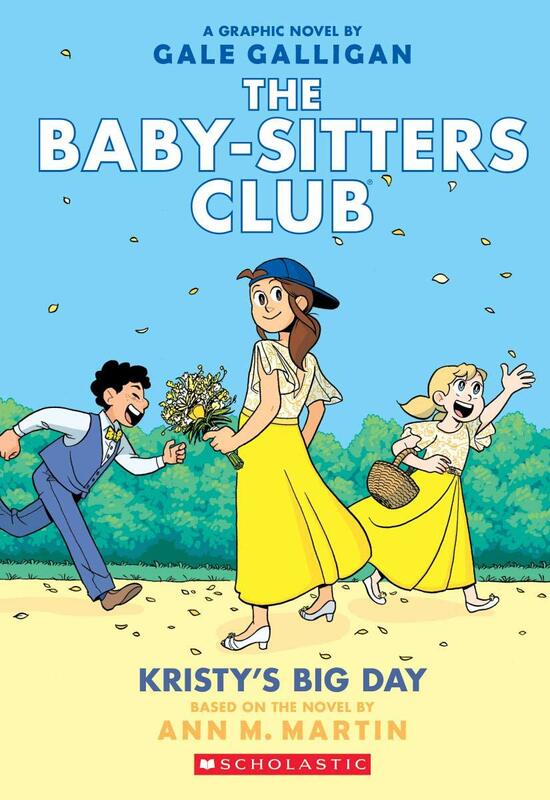 When the wedding date suddenly has to move up, leaving just a couple weeks to pull it all together, Kristy and the Baby-Sitters Club step in to provide a week of childcare to the 14 children coming to the wedding. It’s an adventurous week, from Karen Brewer terrorizing the kids at the playground with tales of monsters from Mars to Stacey’s trip to the movie theater that results in her group being kicked out for dropping Junior Mints on someone’s head. It all comes together in the end, though; the wedding is beautiful, and Kristy finds a gift that helps bring her new family closer together. 148 pages; grades 3-6. Pros: True confession: I am an embarrassingly huge BSC fan and own almost all the Super Specials (hidden in a desk drawer). This wouldn’t be so bad if they were my childhood favorites, but the first book came out right after I graduated from college. 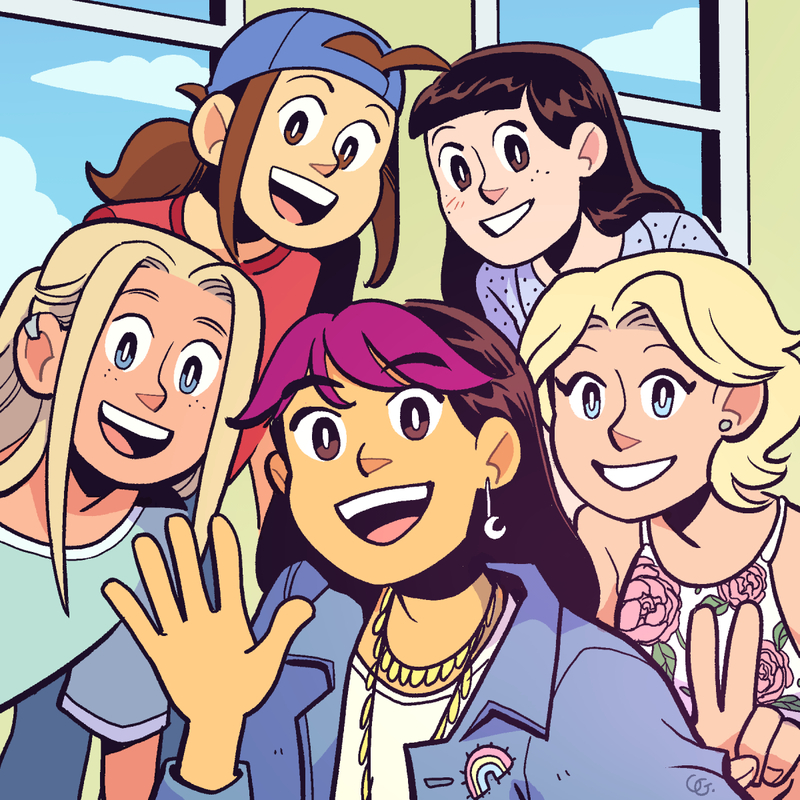 I don’t usually review later books in a series (this is #6 of the graphic novels), but suffice it to say I love these adaptations even more than the originals, and commend Gale Galligan for being a worthy successor to Raina Telgemeier in both art and storylines. Cons: Mallory is still an extremely minor character. And where is Jessi?! If you would like to buy this book on Amazon, click here.If you would like to buy this book on Amazon, click here.